Snow blowers are useful tools during the cold winter months in Illinois, but they can cause serious injury to users when they do not work in the way they were intended to. 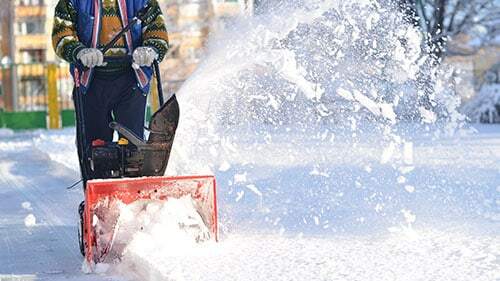 The Chicago snow blower injury attorneys of Rosenfeld Injury Lawyers LLC advocate on behalf of those who suffered devastating injuries due to manufactural errors or defects. There are numerous ways that snow blowers can injure those who use them, but it is possible to recover compensation for your injuries if you can prove that the snow blower did not function in the manner it should have or if the manufacturer failed to warn of danger. There are protective guards equipped on snow blowers which are meant to protect operators from flying debris and to keep their hands away from the moving parts that could do them harm. These mechanisms do not always function as they were meant to, which has resulted in thousands of injuries every year due to snow blower accidents. Following are the most common causes of injury. Finger amputations due to malfunctions when users attempted to clear obstructions. It is not a wise idea to place your hand in any position where it can become caught between moving parts, but there have been some instances where operators have lost digits when moving reasonable parts of the machine. Entanglement. Becoming entangled with the machine while on a slippery surface or a hill can have disastrous consequences and result in disfigurement, lacerations or amputations. Carbon monoxide poisoning. Some operators have died from toxic emissions when operating their snow blowers in confined spaces. It is the responsibility of the manufacturer to warn users of this danger. Irresponsible use of the snow blower resulting in the injury of another person. There are many instances where the victim’s injuries resulted from the negligent behavior of a neighbor, who acted in a reckless manner or ignored the victim’s presence while operating the machine. If you have been injured in a snow blower accident, it is important to determine who is at fault for the malfunction that contributed to your injuries. Product manufacturers are required to provide compensation to anyone who is injured by their products when using them in a safe and responsible manner. If it can be determined that the snow blower was poorly constructed or designed, it may be possible to recover compensation from the manufacturer. It can also be possible to seek damages from someone else who acted in a willfully negligent fashion. The ice and debris that is thrown from snow blowers can cause serious injuries, including trauma to the face, eyes or head. In some cases, victims have been blinded or suffered traumatic brain injuries as a result. When this is the case, the person operating the snow blower can be held liable for his or her actions at the time of the accident. In some instances, an accident may be attributed to a combination of negligent behavior and manufactural defect. A qualified attorney can assist you in determining which party is most liable and how to proceed with your claim. Rosenfeld Injury Lawyers LLC has recovered damages on behalf of thousands of clients whose injuries were due to manufactural defects or the failure of product manufacturers to warn of dangers. If you have been injured in a snow blower accident, contact us today to learn what our Chicago snow blower injury attorneys can do to ensure you have the greatest possible chance of recovering the compensation that you need and deserve. If we are unable to help you secure damages, our services will cost you nothing.